Such behavior problems in adolescence as aggression and delinquency are linked to chronic stress in early childhood, which interferes with children's development of self-control, reports a Cornell study published online in April in Developmental Psychology. To better understand the well-documented link between poverty and poor outcomes for children, the researchers analyzed data on risk factors, maternal responsiveness and child characteristics in 265 adolescents and their parents. The longitudinal study found that early exposure to the multiple risks linked with poverty -- such as poor living conditions, separation from family, single parenting and violence -- negatively affects children's self-regulatory abilities, critical skills needed to plan and control attention and behavior toward one's goals. These risks compromised children's self-regulation directly as well as indirectly when mothers could not provide sensitive, nurturing care. Lower self-regulation is, in turn, linked to more "externalizing" problems in adolescents, such as aggression and delinquency. "Internalizing" problems, such as depression and anxiety, were not similarly affected. 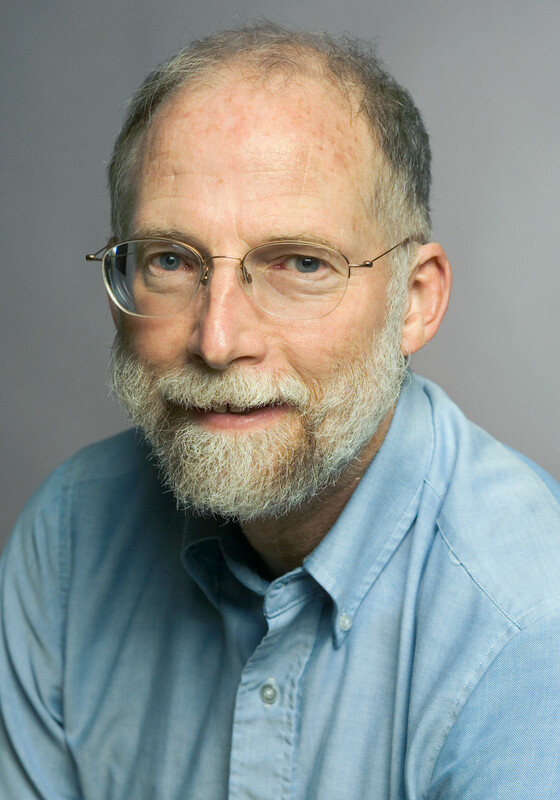 "Our research examines the additive effects of multiple stressor exposures, rather than the typical focus on single variables such as divorce, abuse or housing," said Gary W. Evans, the Elizabeth Lee Vincent Professor of Human Ecology in Cornell's College of Human Ecology. He conducted the study with lead author Stacey N. Doan, Ph.D. '10, assistant professor of psychology at Boston University, and Thomas Fuller-Rowell, Ph.D. '10, a Robert Wood Johnson postdoctoral fellow at the University of Wisconsin-Madison. "One of the things that chronic stress seems to do in children is damage the body's ability to regulate the physiological response system for handling environmental demands with consequences for physical and mental health," Evans said. "By teasing apart two major subtypes of psychological well-being, internalizing and externalizing, we have shown that their predictors operate differentially." In other words, internalizing and externalizing problems may have different causes and be influenced by different factors. Temperament may be more predictive of internalizing problems, while environmental risk factors are more associated with externalizing problems, the authors say. "Overall, our results suggest that while it may not always possible to increase income or reduce all risk factors, by improving parenting skills or child self-regulation abilities we may be able to ameliorate some of the effects of poverty on children's mental health," Doan said. This research was funded by the W.T. Grant Foundation, the John D. and Catherine T. MacArthur Foundation Research Network on Socioeconomic Status and Health, and the Robert Wood Johnson Foundation Health and Society Scholars Program. Posted in Features and tagged adolescence, mental health, poverty, stress on August 29, 2012 by ktb1@cornell.edu. Childhood adversity is linked to chronic stress in adolescence, setting the stage for a host of physical and mental health problems, finds a new Cornell study published online in July in Psychological Science. The longitudinal study found that the greater proportion of childhood spent in poverty, the greater number of risks children were exposed to, and this was linked to increased markers of chronic stress by the time the children were 17. For their analysis, the researchers used survey data on 173 children that included information about family income and exposure to such risks as housing conditions, family turmoil and violence. Children's blood pressure, overnight levels of stress hormones and body mass index were measured to assess physiological changes, known as allostatic load, which are associated with chronic stress. "While prior work has shown that childhood poverty is linked to elevated chronic stress, as indicated by allostatic load, this study adds two critical ingredients: We demonstrate this in a prospective, longitudinal design which makes the evidence stronger, and we show that the poverty-allostatic load link is explained in part by low-income children's exposure to cumulative risk factors," said lead author Gary W. Evans, the Elizabeth Lee Vincent Professor of Human Ecology in Cornell's College of Human Ecology. He conducted the study with Pilyoung Kim, Ph.D. '09, now an assistant professor at the University of Denver. "In other words, one reason why poverty leads to chronic stress is because of the confluence of risk factors poor children encounter," Evans said. The cumulative effect of these risks can add up to levels of stress capable of damaging the developing brain and body and setting a trajectory for future disorders, the authors said. "Poverty often leads to chaotic circumstances that make it more difficult for children to get what they need to develop optimally," Evans said. "Chaos makes it difficult to sustain predictable and increasingly complex exchanges between caregivers and the growing child. Furthermore, this chaos occurs across many of the settings in which the children's lives are embedded, such as neighborhoods and schools. "Based on what we're learning about the harmful and long-term effects of chronic stress on child development, we need to broaden our thinking about how we can improve the life prospects of children at risk and we need to make these investments early in life before the adverse effects of stress are encoded in the developing child," he said. This research was funded by the W.T. Grant Foundation and the John D. and Catherine T. MacArthur Foundation Research Network on Socioeconomic Status and Health. Posted in Features and tagged adolescence, poverty, stress on August 29, 2012 by ktb1@cornell.edu. Adolescents who grow up in poverty are more likely to report being treated unfairly, and this perception of discrimination is related to harmful changes in physical health, reports a new Cornell study published in the July issue of Psychological Science. One of the first studies to explore the role of discrimination as a factor in the well-known link between poverty and poor health, the research suggests that the stresses associated with experiencing social class discrimination have a sizable negative impact. For their analysis, the researchers used data from 272 adolescents participating in a longitudinal study on rural poverty that included questions about their perceptions of differential treatment and measured blood pressure, overnight levels of stress hormones and body mass index -- all markers of wear and tear known as allostatic load resulting from chronic overactivation of the stress response system. As expected, poverty was associated with higher levels of allostatic load, indicated by increased body mass index, blood pressure and levels of stress hormones. The researchers found that perceived discrimination accounted for 13 percent of these negative effects of poverty on allostatic load. "Perhaps the most interesting thing about these findings is that discrimination may have serious, long-term adverse health effects among adolescents," said author Gary W. Evans, the Elizabeth Lee Vincent Professor of Human Ecology in Cornell's College of Human Ecology. He conducted the study with lead author Thomas Fuller-Rowell, Ph.D. '10, now a Robert Wood Johnson postdoctoral fellow at the University of Wisconsin-Madison, and Anthony Ong, associate professor of human development, also in the College of Human Ecology. "I think most of us would intuit that discrimination or prejudice is harmful and would make people feel bad, influence self-esteem, etc.," said Evans. "The fact that discrimination may also be capable of elevating chronic physiological stress in relatively healthy, young adults is potentially a very important finding. Elevated allostatic load has been linked to a litany of very serious health outcomes, including elevated chronic diseases and premature mortality." While a growing body of research confirms disparities in health across socio-economic groups, the underlying reasons for this are still not well understood. By suggesting that social class discrimination, through its effects on the stress-response system, may be an important factor in health disparities, the new findings fill a gap in the research and may point to new approaches to improving health. "It is surprising that social class discrimination is so ignored within the public discourse and the research literature," Fuller-Rowell said. "There is considerable attention paid to how racial stereotypes play out in daily life and influence how we think about and treat people, but these types of discussions are almost nonexistent in relation to social class stereotypes." This needs to change, he said, so that people can begin to understand the potential negative effects of their stereotypes about wealth and social class. Posted in Features and tagged poverty, stress on August 29, 2012 by ktb1@cornell.edu. Posted in Features and tagged aging, stress on February 27, 2012 by ktb1@cornell.edu.